Grammy Award nominated R&B recording artist Deborah Cox is close to landing her 13th #1 Billboard Dance Club Chart #1 with her stunning new single “Let the World Be Ours Tonight.” Her stunning single has moved up to #3 on the Billboard Dance Club Chart! Big thanks to everyone who has been supporting this record. 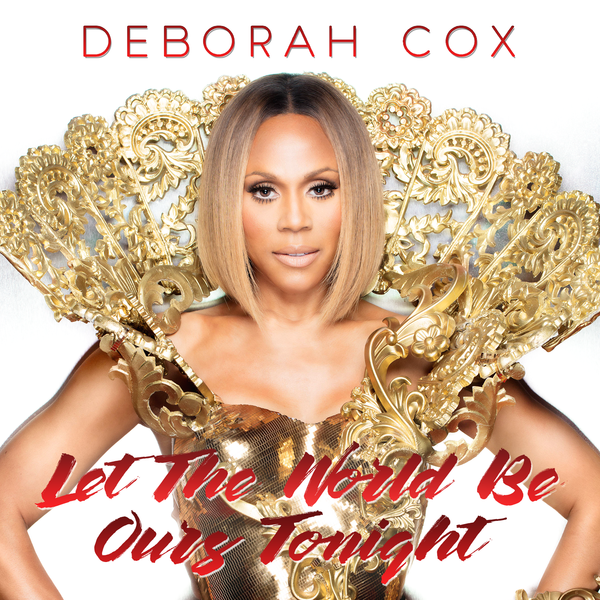 Lets try to get “Let the World Be Ours Tonight to #1, to mark Deborah Cox’s 13th number one on the Billboard Dance Club Chart! Deborah Cox has teamed up with renowned UK production team Soulshaker (Mary J. Blige, Keri Hilson, Wiz Khalifa) for her new feel good single “Let the World Be Ours Tonight.” The Radikal Records release features various interpretations of the single from some of today’s top producers including Stonebridge and Damien Hall, Diamm, Soulshaker, Bimbo Jones and Tony Moran. “Let the World Be Ours Tonight” is destined to become a Hit with dance music fans worldwide. “Let the World Be Ours Tonight” is available for digital purchase on all major platforms including Amazon, Google Play, and iTunes. It is also available to stream on Apple Music and Spotify. “Let the World Be Ours Tonight (Remixes)” is available for digital purchase on all major platforms including Amazon, Google Play, and iTunes. It is available to stream on Apple Music and Spotify.